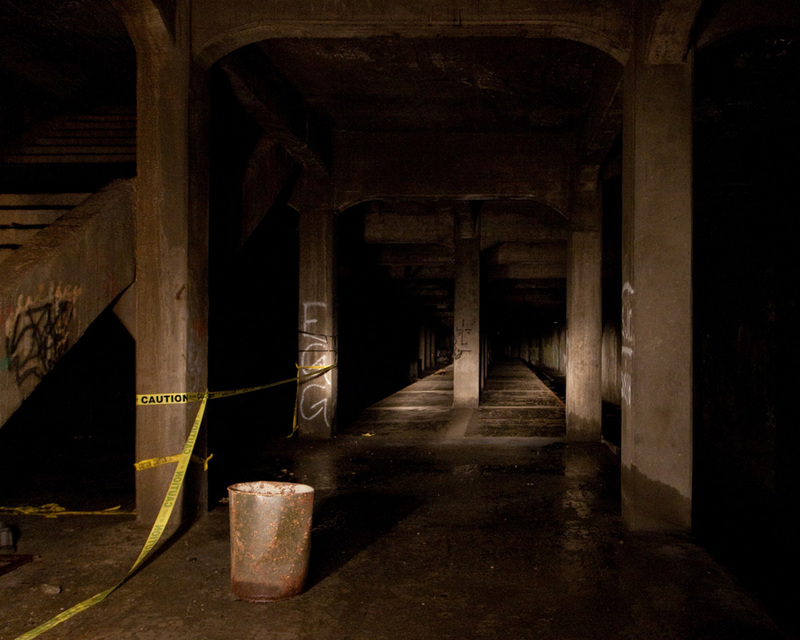 The Cincinnati Subway is by far the most famous abandoned subway on the planet. It's also one of Cincinnati's most infamous landmarks, and aside from randomly scheduled and extremely expensive tours, no one ever gets to see it. 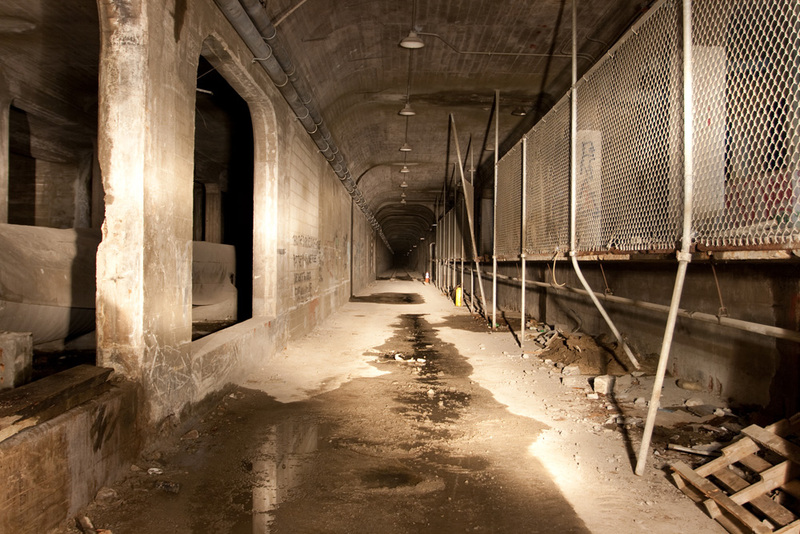 The subway was built by the City of Cincinnati between 1920 and 1925. 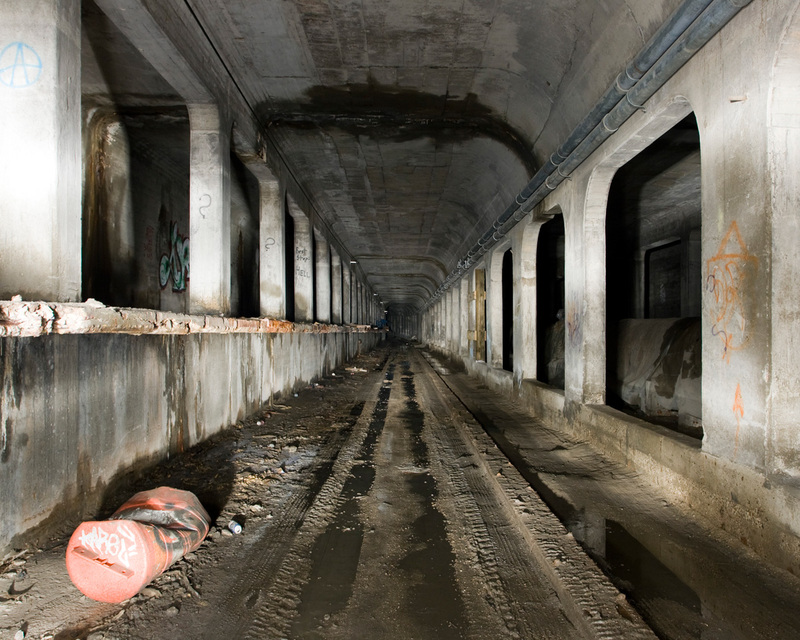 Seven miles of the line were constructed in some way, from downtown Cincinnati beneath Central Parkway, and on up to Norwood. Construction was stopped in 1925 when the city ran out of money to continue. The project ran extremely over budget as a result of inflation. The bonds taken out to provide the funding for the project were taken in 1916, shortly before the US entered WWI. As a result of the war effort, construction was put on hold until 1920. By the end of the war, inflation had made the $6 million worth of bonds worth just a fraction of what they had been 4 years prior, and the budget for the project had more than doubled due to increased supply and labor costs. 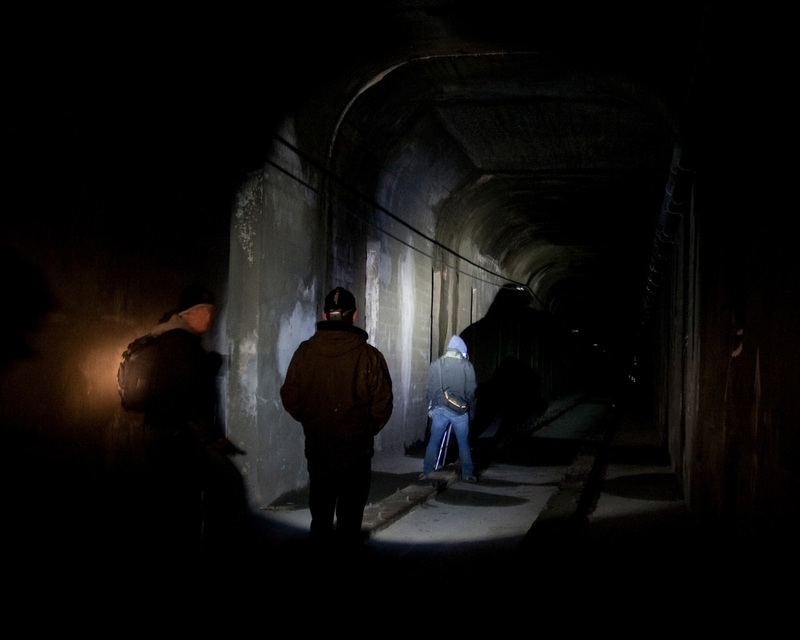 Currently, there's a little over two miles of tunnel that exist, and four underground stations. 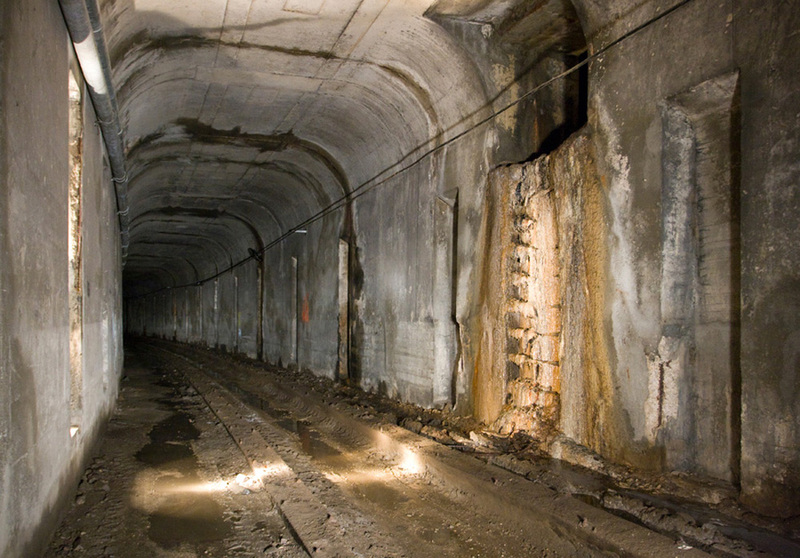 To read up about more of the history of the subway, visit Cincinnati Transit. Below are photos of the remaining subway tunnels and stations, sorted by station from the northernmost to the southernmost. Detail map of the Brighton Station. 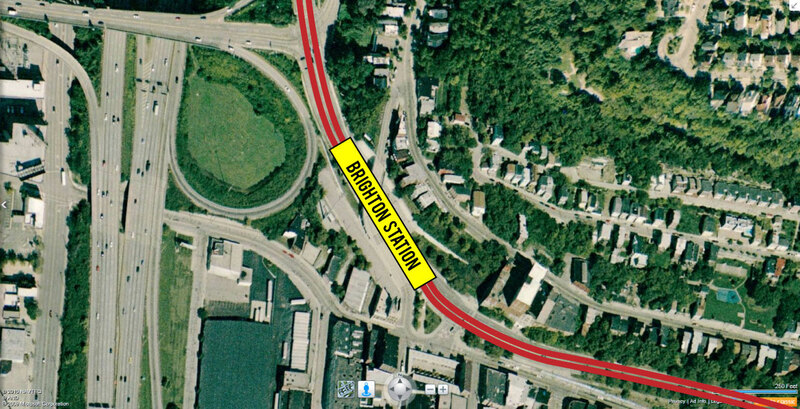 Brighton Station is the northernmost subway stop that was built, past this point a few more above ground stations were built at places like Ludlow Avenue, Clifton Avenue, etc. on the route up through Norwood. Brighton was my personal favorite station because it represented what would have otherwise been the standard station, had the rest of the system been built. 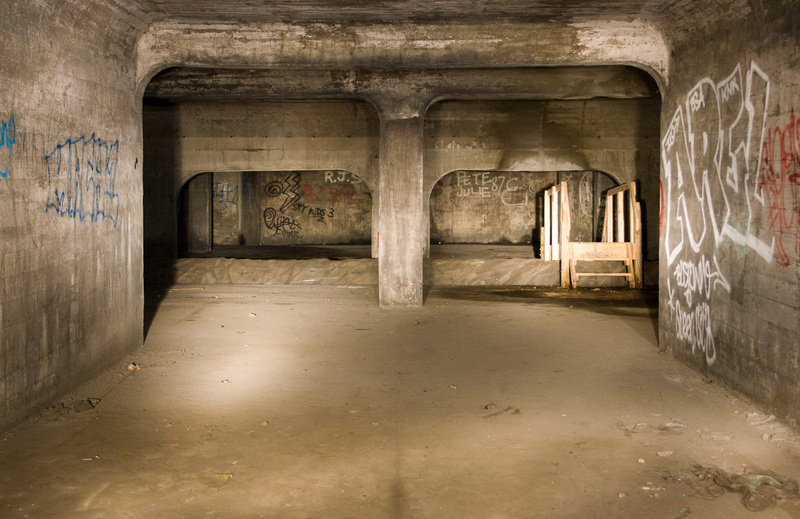 The other stations all have their eccentricities: Race St. being the hub, Liberty St. being a bomb shelter, and Linn St. being nothing but a solid concrete wall. That said, my favorite photos came from Brighton. 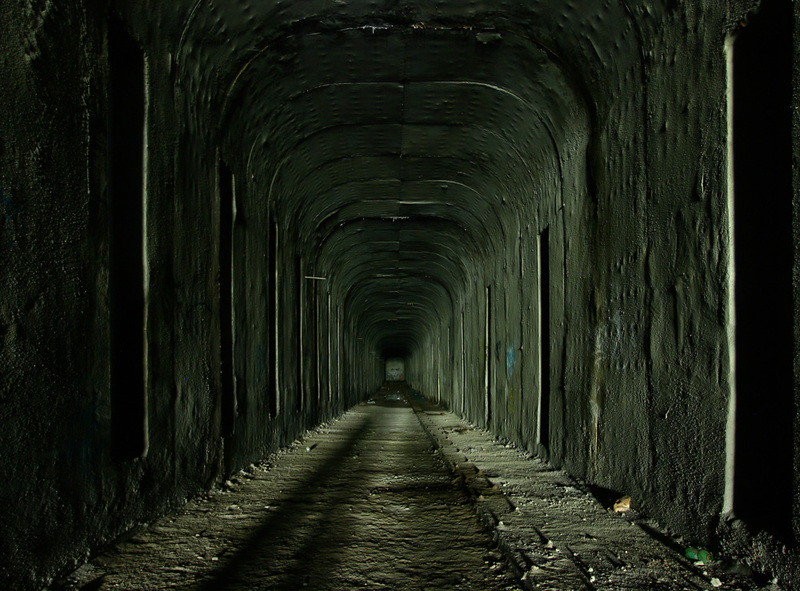 Looking south down the tunnel. 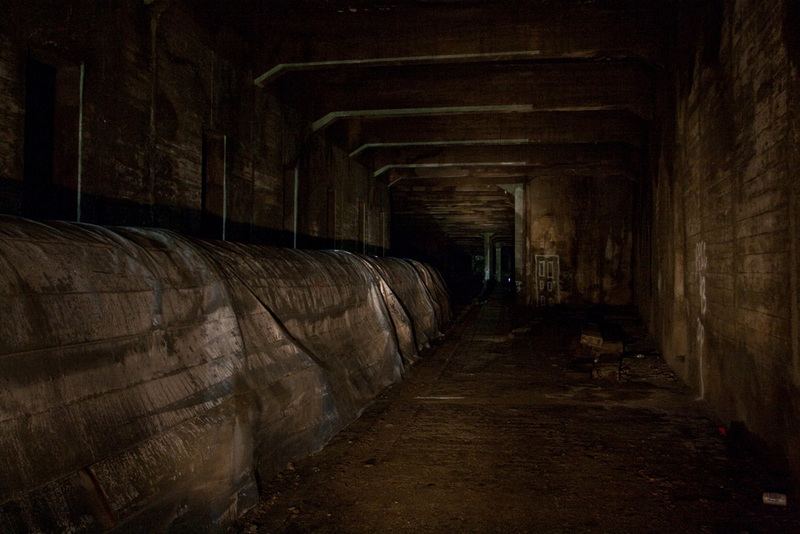 The uptown bound platform is on the left, and a water main that now occupies one tunnel can be seen to the right. The downtown bound platform, the water main is visible on this side of the station. 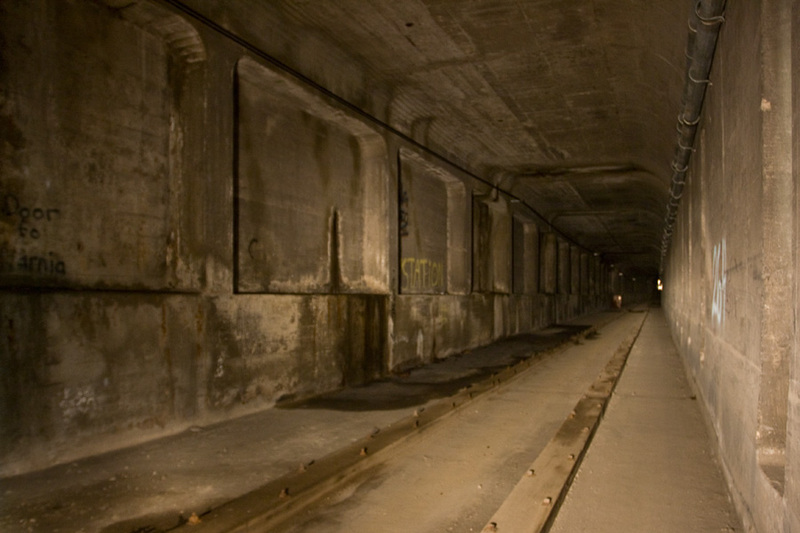 The entrance on the downtown bound side, looking into the subway platform and track area. There are stairs and provisions for bathrooms to the right and left of where this photo was taken. Linn St. Station is the least exciting of all the stations, because it's been completely sealed over at the edge of the platform. I'm not sure why it was down, but it seemed as if Linn St. would have looked very similar to the Brighton Corner Station. 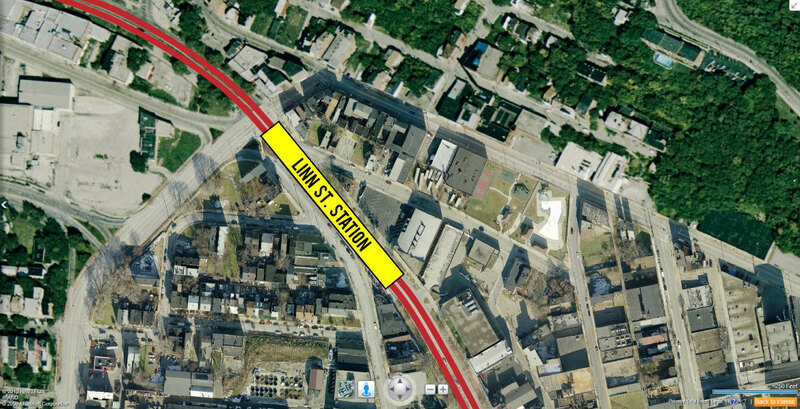 Linn Street Station is sealed off completely. 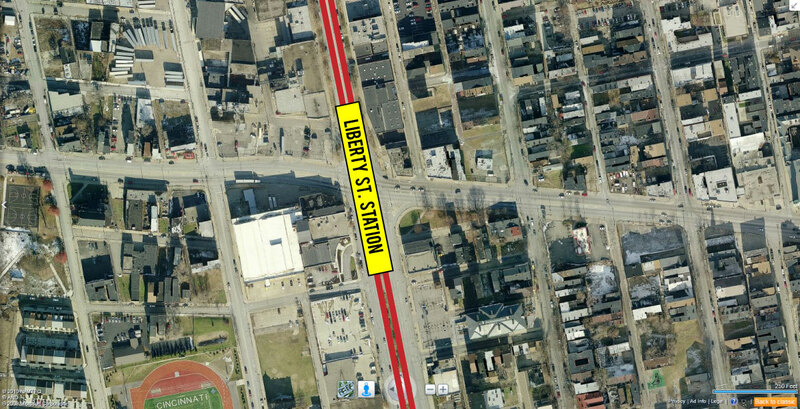 The Liberty St. Station is the first stop north of Race Street. 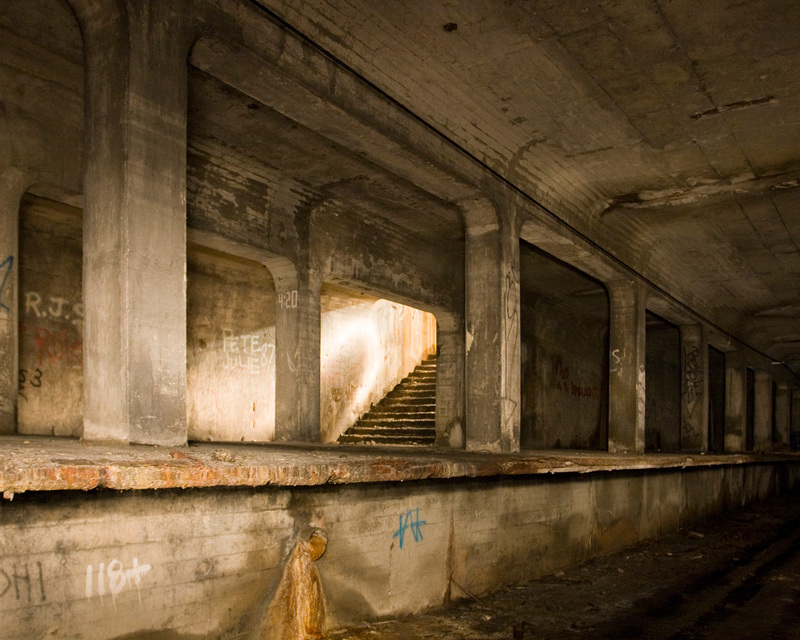 This station is infamously well known for Cincinnati's attempt to retrofit it as a faux-fallout shelter during the 1950's and 1960's, under the false pretenses that A) Cincinnati was important enough to even be a target, and B) the entire population would be able to survive together in a tunnel with a few boxes of "survival biscuits" for longer than about 10 minutes. The downtown platform at Liberty St.
Liberty Street Station. 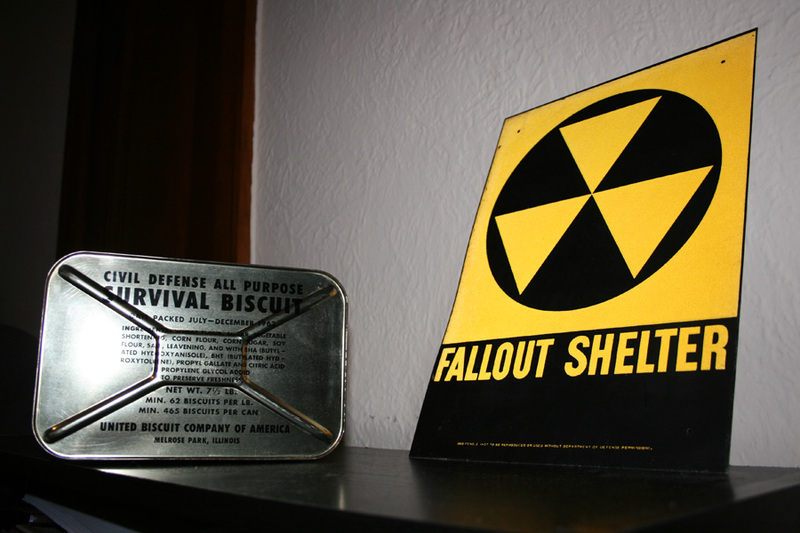 The fencing and lights were presumably installed during the fallout shelter retrofit. The platform at Liberty St. 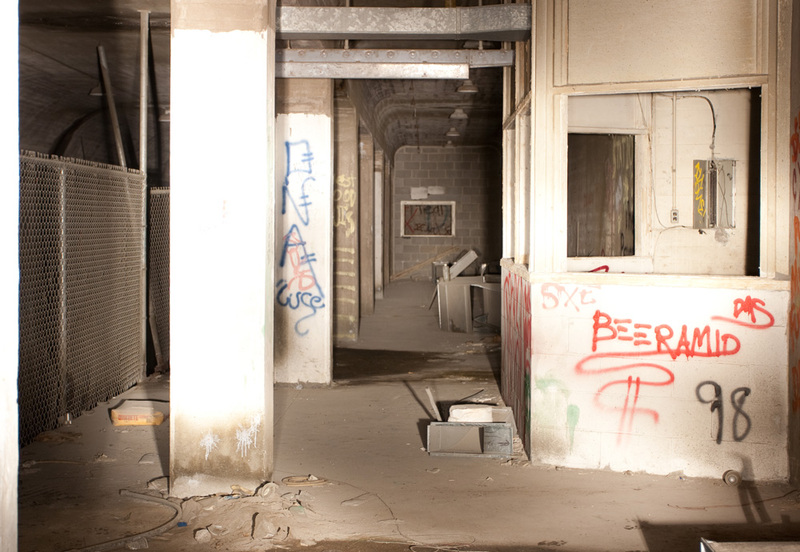 The booth was of newer construction, and likely a part of the fallout shelter. 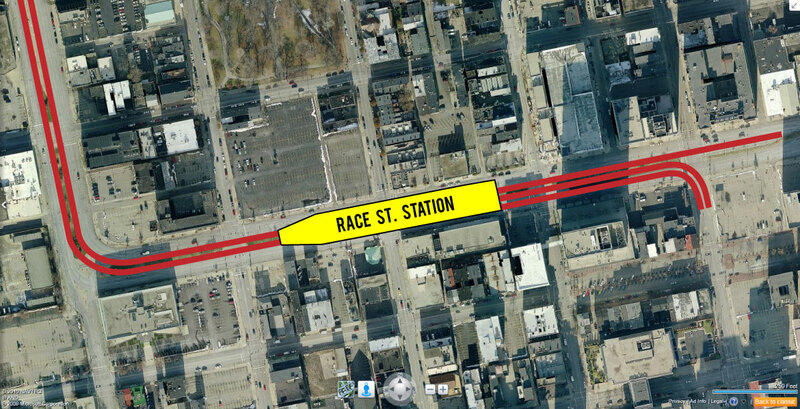 The Race St. Station is the largest station in the system, and would have been one of the main downtown hubs. It's the only station that has a central platform, and three tracks (the center track is a stub on either side). Race St. Station is composed of three tracks with a large, central platform. 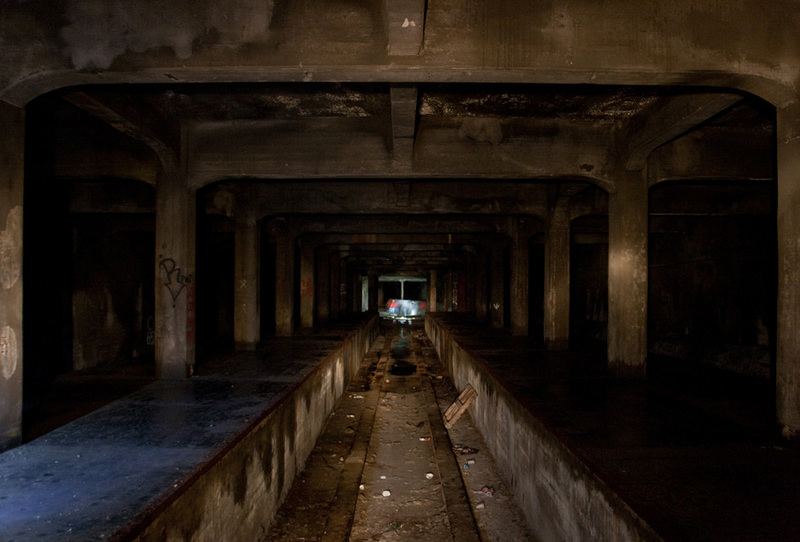 Looking down the abandoned Race St. Station platform to the west. The eastern approach to the Race St. Station. 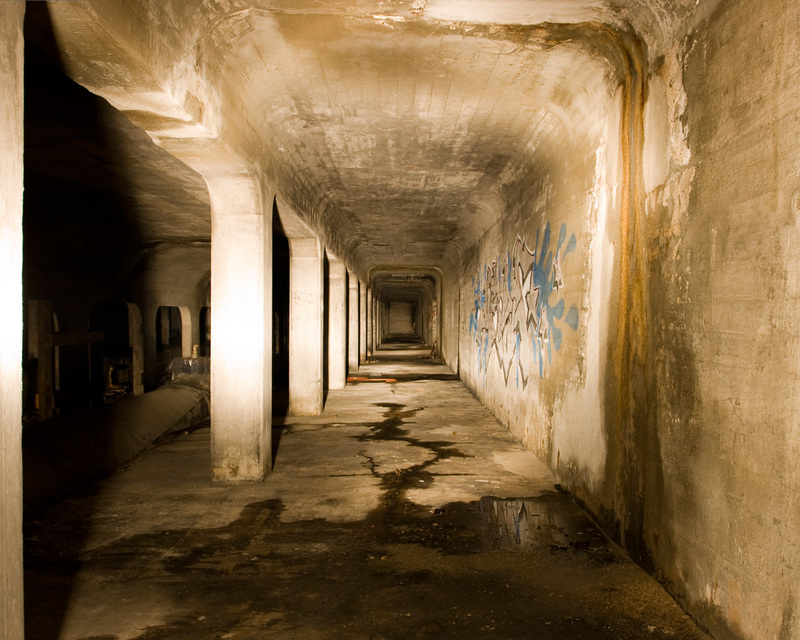 One of the tunnels is now home to a water main. 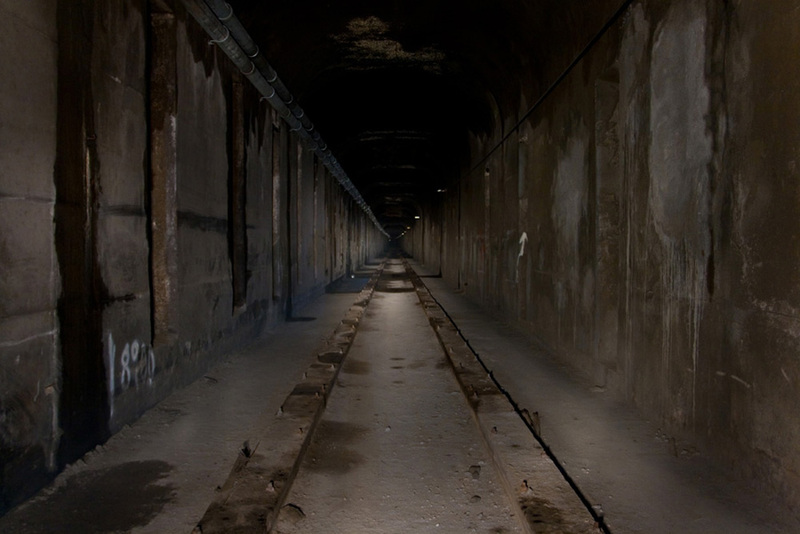 This photo and the photos below were all taken within the tunnels connecting the various stations. 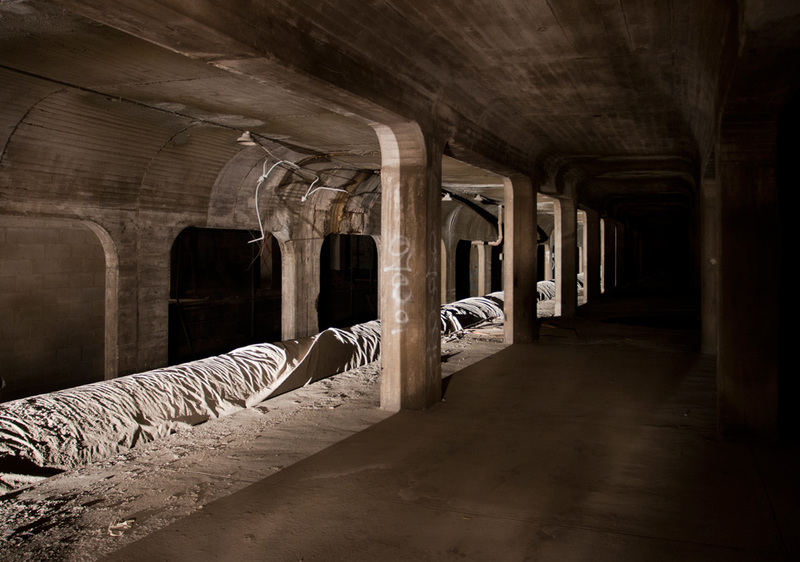 Within Cincinnati's abandoned subway tunnels.